The Women Lawyers of Western Australia Inc (WLWA) has released its 20th anniversary review of the 1994 Chief Justice’s Gender Bias Taskforce Report. The 2014 review is the hugely significant culmination of three years of research and investigation - and it can’t be denied that some of its results are startling. Shockingly, it found that 20 years on not only does there still remain a noticeable pay gap between men and women in Australia, but in 2013 there was a 17.5% salary gap between men and women, with the gap having widened in favour of men. In fact, the Federal Government’s Workplace Gender Equality Agency Report revealed that the median starting salary for male graduate lawyers was 7.8% more than for females. The gap had blown out by 4% from the previous year. And while much of the more than 700-page report addressed gender bias across all sectors in Western Australia, chapters two and three specifically concern career paths for women in the legal profession and appointment of judiciary. These chapters found anecdotal and empirical evidence that males are paid more in WA in some private firms. And although many workplaces offer identical rates of pay, because promotion is harder to achieve for women, they effectively remain on lower rates of pay comparable to men, the report says. Cathryn Greville, the president of WLWA, told Australasian Lawyer that the 2014 review is a big deal, because it’s the first time that any of the issues that were raised in the Chief Justice’s Gender Bias Taskforce Report in 1994 have been looked at in any detail. Research started on the latest review three years ago - in 2011 - with the aim of covering all of the concerns raised in the original report. “We had suspected that chapters two and three would be areas where there hadn’t been much progress…[Sure enough] the legal profession has been the area where there’s been the least change,” Greville says. 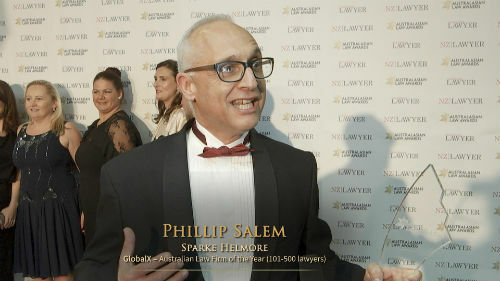 Results in WA included men holding 80% of partnership or principal positions in private law firms –the very partnerships that decide whether women advance; and private firms being more inclined to send their male lawyers to socialise with clients due to a perception that clients don’t want to be entertained in corporate boxes at sporting events or in restaurants by women. Ten elite law firms also revealed that despite the fact that women were outperforming men in interviews, firms admitted they were hiring less able men as a ‘reverse discrimination policy’ because of a concern firms would have more women than men. “I think we’re at the stage where we can acknowledge the problem, but it’s now a case of initiating change,” says Greville. Changes she says the 2014 review indicates need to be implemented the most urgently include genuine flexible work practices that allow both women and men to be able to care for young children while still enjoying a career, and a cultural shift in the way female and male lawyers continue to be stereotyped within the profession. “Let us kill off for once and for all the notion that men and women are different when it comes to any relevant talent or tendency as legal advisors, strategists and advocates,” the report quoted award-winning barrister Fiona McLeod as saying. WLWA’s Greville agrees that the cultural attitude towards people who do something differently is a vital issue that needs solving. Meaningful mentorship programmes for women was revealed as one of the keys to their future success, and the importance of having female role models in the industry was emphasised. Many firms have definitely already got started on implementing such programmes, says Greville. Even the fact that these issues are not new to people is a positive thing, she adds, because it indicates that people are aware of inherent gender bias. But far from simply highlighting issues within the legal profession in WA, the 2014 review also sets out a long and comprehensive list of simple and achievable recommended changes. Greville hopes that if these are adopted by firms, in 20 years from now, many of the current problems will be obsolete. Recommendations include firms embracing reporting statistics and data about women leaving the profession so that we can begin to monitor progress and have a method of measurement. The mandatory reporting of salaries levels across the firm is another suggestion. She says a large majority of the report’s recommendations are “low hanging fruit”, and hopes that every firm in WA, and beyond, will consider them. but with an oversupply of graduates, jobs are hard to come by and if you want a paying job, then you have to accept the conditions. turning it around, why would I accept the same salary for a 60+ week, when another company offers me the same for a 40+ hour week? with the pressure on for higher profits, i only see more jobs becoming longer hours and less family friendly - hiring another person with all the extra add on costs? not going to happen. it should though. How can any person be productive after 60 hours?? The salaries as negotiated look attractive for a 40 hour week though modest for personal exertion exceeding 60 hours. I am surprised that young folk tolerate such work practices, or rather, that authorities have not intervened to put a halt to exploitation of our young and talented. If there is an excess workload of 20 hours per week for each young lawyer, it behoves practices to engage more young lawyers to take up the "overload". We need to see the role of lawyes as a whole and not just the billable hour. It is slowing down our diversity progress and increases a the box that both genders are locked in, rather than flexibility around parenting options. While lawyers are paid a salary, the amount often depends on home many hours they are working - eg if I am working 60+ hours I expect a bigger salary than if i am working 40+. where is that considered in the stats? We need to stop expecting both genders to work 60+ hours a week just to get promoted. We also need to accept that discrimination occurs for other groups, such as older graduates, Aboriginal and non english speaking background graduates. Addressing the problems holistically and improving the situation for all should be our approach, not just for a select part of the profession. It is shocking to see that there is still such disparity in the legal profession in Australia. The secrecy and confidentiality is not good for diversity. If there was a published indicator of fair treatment, I would only retain firms that are responsible and give equal pay for equal work.